City were last victorious at Anfield in 2003 and have lost 12 of their last 17 visits. LIVERPOOL: Billions of pounds of investment from Manchester City's Abu Dhabi owners over the past decade has reaped three Premier League titles and transformed the blue half of Manchester from "noisy neighbours" into the dominant side in the city. 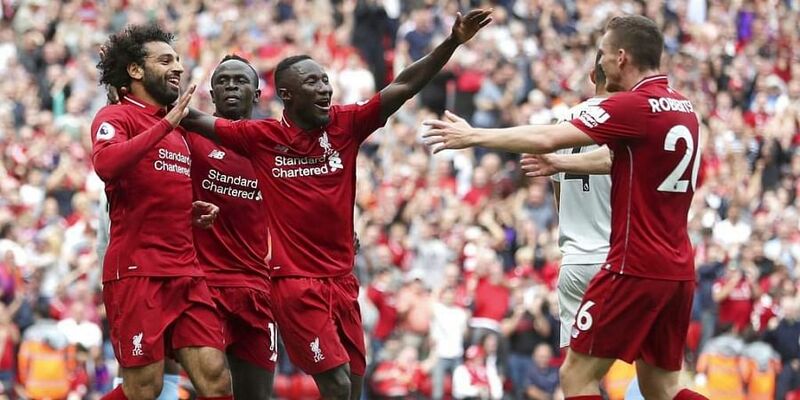 However, the Premier League champions travel to Liverpool on Sunday hoping to finally achieve something that has so far been beyond City's cash-rich era -- a win at Anfield. The most recent of those saw City's Champions League dreams ended for another year in the cauldron of a European night on Merseyside with a 3-0 quarter-final first leg defeat. A coach not accustomed to losing, City boss Pep Guardiola has been defeated on all three of his visits to Anfield and in Jurgen Klopp faces one of the few managers who can boast a winning record against the Catalan. Just seven games into the Premier League season, no knockout blow can be landed this weekend. "It's very tough, probably the toughest away game of the season in the Premier League," admitted City midfielder Ilkay Gundogan, who worked under Klopp for four years at Borussia Dortmund. "But as a player there is not much more that you can achieve than playing these type of games, because when you play them or when the atmosphere is like that, you know it's a big thing." While City are seeking to consolidate themselves as the dominant force in English football by becoming the first side in a decade to retain the title, Klopp's task is to end Liverpool's near three-decade wait to win the league. When Kenny Dalglish led the Reds to an 18th league title in 1989-90, Liverpool were streets ahead as England's most successful club. The intervening years have seen Manchester United storm ahead. But with United already nine points adrift and Tottenham, Arsenal and Chelsea also playing catch-up, Liverpool know beating City is the key to ending that long wait. "Obviously we won the last three games against City. After none of these games you go into the dressing room and think, 'Now we've got it, now we know how to beat Manchester City'," insisted Klopp. "There is no real way, no one thing that you have to do." So often outgunned by City's oil wealth and United's commercial power in recent years, Liverpool were the biggest spenders in this summer's transfer market in a declaration of intent to win the title. A perfect start of seven straight wins in all competitions has come undone in the past week with defeats to Chelsea and Napoli in the Champions League, either side of a draw with Chelsea on league duty last weekend. But come Sunday, they can count on the intangibles of Anfield on top of the talent of a bolstered squad and inspirational manager to keep City waiting for a win there and strike first blood in the title race. "We have our crowd in the back. You could see Napoli used the atmosphere and we couldn't calm it down with our performance," said Klopp after defeat in Italy on Wednesday. "But on Sunday that -- at least -- will be 100 percent different."